After its worst quarter on record, bitcoin has finally rebounded well above $9,000 per token, putting it on pace for $10,000 yet again. At last, bitcoin’s winter blues are finally over. On Tuesday (April 24), the cryptocurrency favorite did something it hasn’t done in over a month: it crossed over the $9,200 threshold in early morning trading, a level the digital currency hasn’t seen since March 8, when it was last priced above $9,000 at $9,075.54. Ever since then, bitcoin has been on a downward spiral, spending the bulk of late March to mid-April between $6,900 and $7,800, according to data from Coinmarketcap.com. Bitcoin’s market cap has also lost significant steam, dipping from $350 billion to $161 billion as of 6:33 p.m. EST on Tuesday. 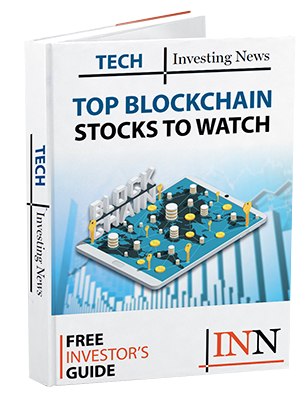 “I think the 2018 crypto winter is officially complete, and from now on we’ll see crypto spring and then crypto summer,” David Mondrus, CEO of Trive, told the Investing News Network via telephone. Since the start of the year, bitcoin has been on a steady decline with slight daily and weekly increases, although nowhere near its high of $19,200 at the end of 2017. Bitcoin’s 2018 high clocked in on January 8 at $17,055 per token, but it has decreased by more than 44 percent since then. As of 6:23 p.m. EST on Tuesday, bitcoin’s price was $9,479.17, representing a 19.8-percent increase from $7,910.78 over a seven-day period. “I think we’ll hit $10,000 reasonably soon,” Mondrus said. “I expect we’ll hit $10,000 sometime in the next couple of weeks.” Mondrus added that he still anticipates bitcoin reaching $30,000 by the end of this year. Although he did say it might be more, he is betting on the former. Mondrus isn’t alone in his high price target estimations. According to CNBC, Tom Lee, co-founder of Fundstrat Global Advisors, estimates that the digital currency will reach $20,000 by the end of 2018. When asked about whether or not it’s too late to buy bitcoin, Mondrus stressed that’s not the case. He did say it will be “too late” in roughly three or four years. With a maximum supply of 21 million bitcoins and almost 17 million in circulation, that only leaves 4 million left to mine. “As it is, we’re already on very limited supply,” Mondrus said, stating that hedge funds like Circle Trade are trying to enter the market from the “sidelines.” In fact, Circle’s over-the-counter trading desk has raised its minimum to buy to $500,000 from $250,000. “The minimum ticket size has moved up to $500,000 with an average of $1 million,” Circle Chief Executive Jeremy Allaire told Business Insider. “That watermark will continue to rise,” he said. Mondrus continued, stating that it’s “really hard” to buy anything (like bitcoin) in quantity, so that’s why investors are going over the counter. “Imagine billions and billions of dollars entering the ecosystem, chasing higher returns, and there’s only 4 million coins left,” he said. Bitcoin cash is currently the fourth top cryptocurrency with a market cap of $24.8 billion and a price of $1,453.59. Since entering the market on July 23, 2017 at $555.89, bitcoin cash has increased 161.4 percent and reached a high of $4,091.70 on December 20, 2017.